I've sent SAE, IRC and 3 photos to the address in the database. Received one of my photos signed. 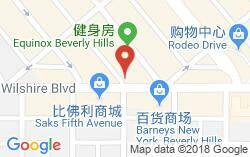 Mark Wahlberg Leverage Management 3030 Pennsylvania Avenue Santa Monica, CA 90404 USA Sent: 10.09.2015 Received: 25.03.2016 You can see the photo on my Facebook page - https://www.facebook.com/OUTografy/. Admin don't upload photos from my site here please.